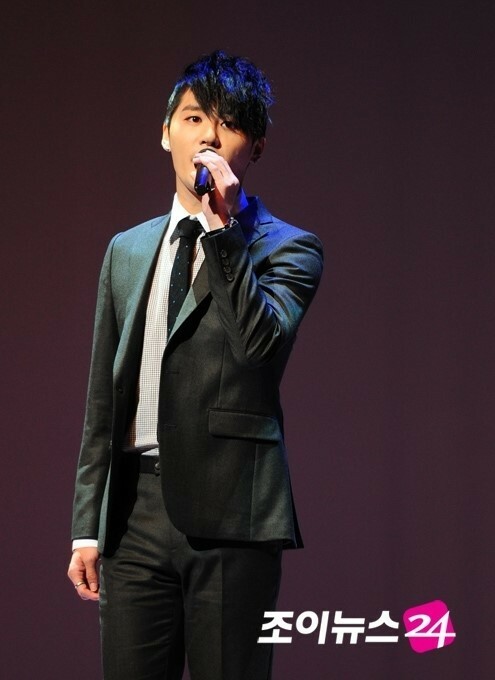 The power of Kim Junsu strikes back as he showcases his ‘ticket power’ in the musical industry once more. ‘December: The Song that Hasn’t Ended’, which features Kim Junsu as the leading role, become the most reserved musical in the industry as soon as ticket reservations for additional seats opened up on the 2nd. As a jukebox musical that commemorates the 50th anniversary of Kim Kwang Seok’s birth, ‘December’ sold the most tickets in one reservation opening, and it has broken yet another record with its additional seat openings. A total of 10,000 seats were up for grabs in the additional round of ticket reservations, and 50,000 people flocked to Interpark when the time came. All tickets for the first floor seats of Kim Junsu’s performances were sold out in approximately 10 minutes. ‘December’ is a jukebox musical that depicts a 20-year-long love story that showcases everything that Kim Kwang Seok had to offer. Chosen as the most anticipated end-of-the-year musical by the Chosun Daily, the musical was also ranked the most anticipated large-scale musical by PlayDB. These are the results of Kim JUnsu and Park Gun Hyung coming together, teaming up with Director Jang Jin to weave a refreshing story of love. The fact that Kim Kwang Seok’s compositions and unreleased songs will be featured in the musical are getting musical-lovers excited for the show. December will open its curtains on the 16th of December at the Sejong Culture Centre. One extra concert in Nanjing, China has been added to the <2013 Kim Jaejoong 1st Album Asia Tour Concert>.